We're happy you're interested in the UK Pathway to Engineering Transfer Session. This tour is specifically designed for prospective TRANSFER students. Prospective freshmen students should register for an Engineering Grand Tour instead. Registration is required for our visits. Space is limited, so we encourage you to register as early as possible. Lexington is in the Eastern time zone. Attendees will learn about transfer admissions to the College of Engineering, our majors, scholarships, co-ops & internships, student organizations, and more. A tour of the engineering complex will be included. Please note: an official campus tour is NOT included during the Pathway to Engineering Transfer Session. 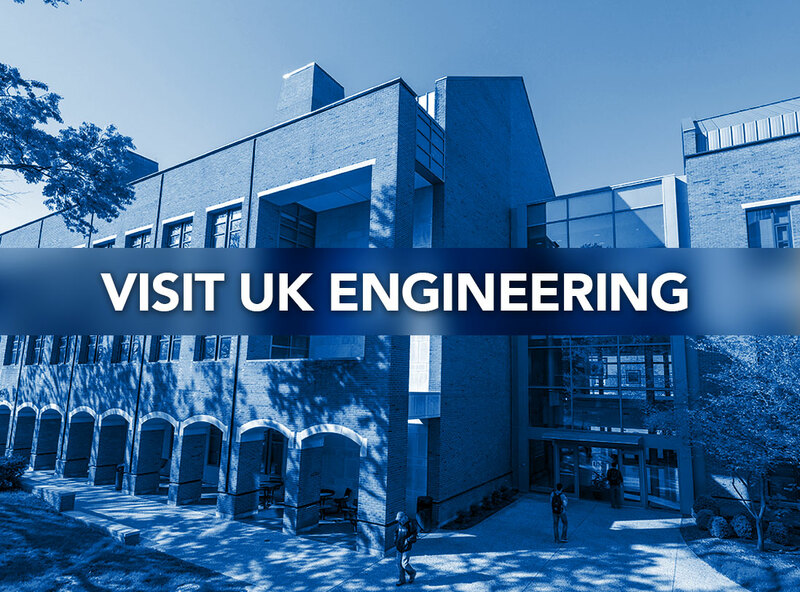 If you would like to schedule a general campus tour, in addition to this engineering event, we recommend scheduling the afternoon Information Session & Campus Tour with the UK Visitor Center the same day. To register for that tour, if you haven't already, click here. The address above is for the visitor parking garage. Once you have registered for the event, additional walking instructions to the Ralph G. Anderson Building will be provided in your confirmation email.